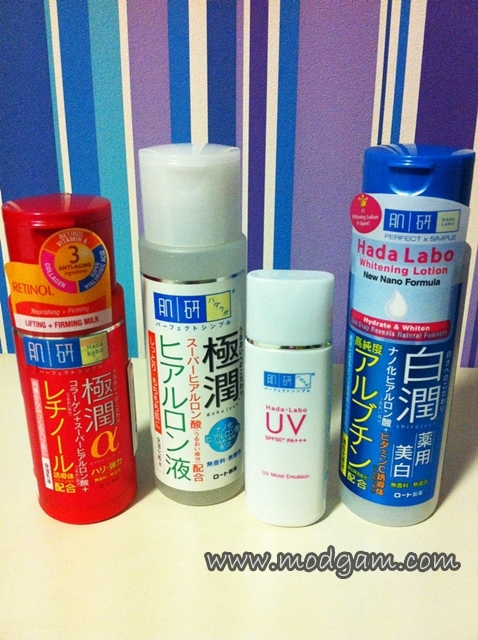 I have been a great fan of Hada Labo since 2010 when I 1st heard about them. I was holidaying in Tokyo then and manage to stock up quite a bit for myself and my friends. Since then, I’ve never looked back. Not only are they affordable, they are no doubt the best selling and labelled “One sold every 4 seconds in Japan”!! 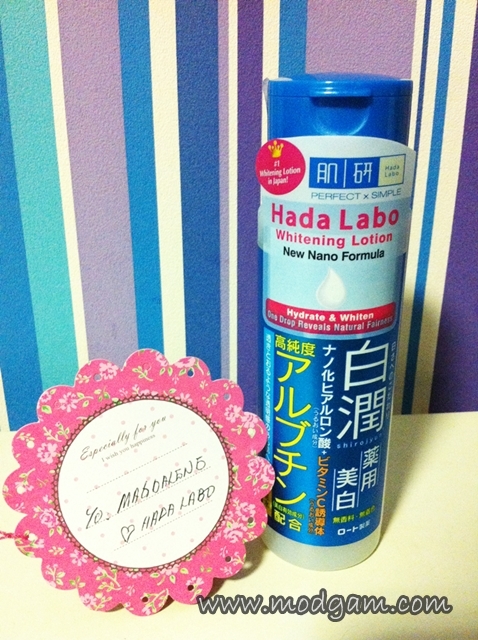 Joining in my Hada Labo collection is the latest Hada Labo Arbutin Whitening Lotion! Products from the Hada Labo Arbutin Whitening Range are priced from SGD $21.90 to $31.90 and are available at Watsons, Guardian, Sasa, NTUC Fairprice, Unity and other departmental stores nationwide. The Hada Labo Arbutin Whitening Range helps keep skin fairer, hydrated and brighter all in one step! The key ingredient, Arbutin, helps fight dark spots thus making skin brighter and clearer. Dull skin is also then revived. Vitamin C helps enhance skin’s fairness while repairing dry, dull skin caused by exposure to UV rays. Hyaluronic Acid helps lock the moisture for the skin to reach its optimal radiance and translucence. I love the light texture and how fast it got absorbed into my skin. After using it for 1 week now, I still can’t tell if the whitening works but I am sure my skin feels more moisturised. Starting from 1st November 2012, you can redeem a free 20ml travel size Hada Labo Arbutin Whitening Lotion from their Facebook page! 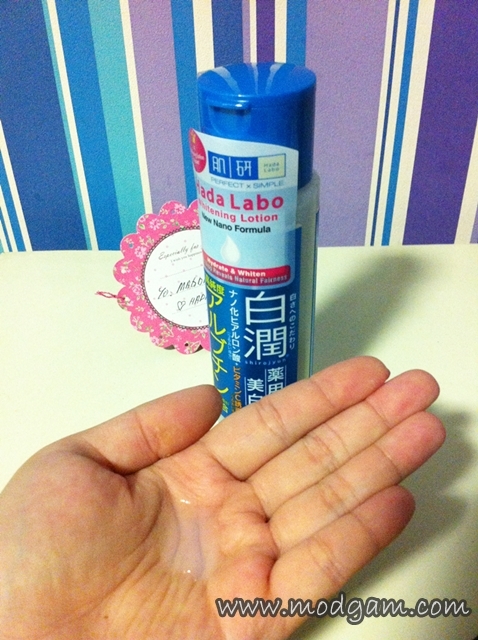 Thank you Hada labo for mailing me one to try.